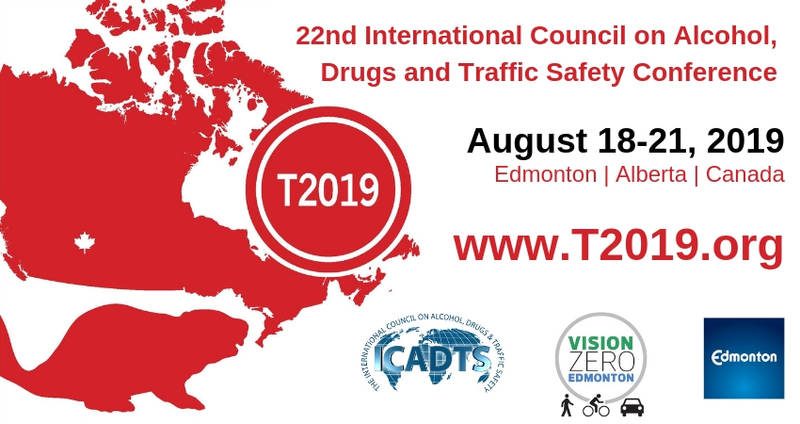 The City of Edmonton's Traffic Safety Section is proud to host T2019: The 22nd International Council on Alcohol, Drugs and Traffic Safety (ICADTS) Conference. Hosted on a rotating basis amongst a range of relevant organizations including Edmonton's own Traffic Safety section, this conference brings together delegates drawn from the areas of public health and safety, traffic, and transport psychology, public health, law, medicine, economics, law enforcement, public policy, education, pharmacology, toxicology, forensic science, human factors, and alcohol intervention and rehabilitation. Please complete the form below to confirm your registration. If you have any trouble with this form or have any questions about registering for this event, please contact [email protected]. Our regular business hours are 8:30 am to 5:00 pm (MST) - Monday to Friday. Please click HERE to determine eligibility for the Low or Middle Income Country rates. Please upload a copy of your Student ID or Course Schedule. Alternatively, you may send a copy via email to [email protected]. *Have you been invited to present at the T2019 Conference or are you awaiting approval of your submission? *Your registration includes a ticket to the Welcome Reception held on August 18, 2019. Please indicate if you will be attending the Welcome Reception. You have the option below to purchase additional Welcome Reception tickets for $40.00 each. Please select the number of additional tickets you wish to purchase. *Your registration includes a ticket to the Gala Dinner held on August 20, 2019. Please indicate below if you will be attending the dinner. You have the option below to purchase additional Gala Dinner tickets for $90.00 each. Please select the number of additional tickets you wish to purchase. Tour the stunning University of Alberta Botanic Garden (https://botanicgarden.ualberta.ca/) and its collection of unique landscaped cultural gardens, native flora, and horticultural exhibits, then spend time exploring all of the different stores, entertainment and attractions at West Edmonton Mall (http://www.wem.ca/), still North America’s largest shopping mall. Motor coach transportation, guided garden tour and lunch provided, plus time to explore all that West Edmonton Mall has to offer! *Please provide the Full Name of the person attending the Flora and Fashion companion program. Briefly visit Elk Island National Park (https://www.pc.gc.ca/en/pn-np/ab/elkisland) to view herds of free-roaming bison and get a taste of the park's peaceful recreation areas before heading across the highway to the Ukrainian Cultural Heritage Village (https://ukrainianvillage.ca/) for a tour and hands-on Pysanky (decorated Easter egg) workshop telling the story of Alberta’s Ukrainian settlers and their impact on the province’s cultural identity. Motor coach transportation, lunch, guided tour and workshop provided. On the return trip, the coach will view some of Edmonton’s contemporary landmarks and attractions in and around the scenic river valley. *Please provide the Full Name of the person attending the Pioneer Origins companion program. A shuttle will take you a a guided bus ride to the Aurora Cannabis facility. Enjoy a guided tour of a legal cannabis facility in small groups and find out how it is grown, produced, and some insider information. The shuttle will transport you back to the Edmonton Convention Centre. A shuttle will take you to the Edmonton Legislation where you will have a guided tour exploring the historical building. From there you will journey throughout downtown on a guided walking tour exploring the different landmarks of Edmonton ending up back at the Edmonton Convention Centre. *Please provide the Full Name of the person attending the Aurora Post Conference Tour. Notice of cancellation must be made in writing to the Conference Secretariat at [email protected]. 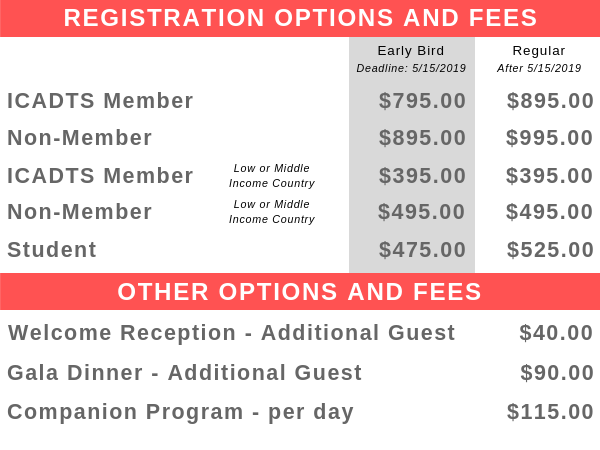 A $100.00 plus 5% GST cancellation fee will apply for conference registrations cancelled until July 18, 2019. No refunds will be provided for cancellations made after July 18, 2019. Registration fees must be paid in full before you will be admitted to the conference. If there is an outstanding balance on your account when you arrive at the conference, you will be asked for a credit card to settle your account. All registration fees are subject to 5% GST and are listed and must be paid in Canadian Dollars (CAD). Advance registrations will be accepted until Friday, August 16, 2019. After Friday, August 16, 2019, registrations will only be accepted on-site. Substitutions may be made until Friday, August 16, 2019 by writing to the Conference Secretariat at [email protected] or on-site. Recording may occur through the conference; by agreeing to these policies conference attendees' consent to filming, photography and sound recording as delegates, speakers or exhibitors at the conference. If you have concerns related to this consent, please contact the conference secretariat at [email protected]. Advance registrations will be accepted until Friday, August 16, 2019. On-site registrations are accepted. A confirmation notice detailing your registration will be sent to you immediately after completing your registration.Please ensure your email filter is set to accept emails from [email protected] for the purpose of conference communication. Recording may occur through the conference; by agreeing to these policies conference attendees consent to filming, photography and sound recording as delegates, speakers or exhibitors at the conference. If you have concerns with this consent, please contact the conference secretariat. *Do you require an invitation letter in order to travel to the conference? *A list of attendees to the conference will be made available to all registrants. This list will include name, job title, organization and city. Do you consent to having your name on the list? If you have any questions, please contact Conference Secretariat at 780-436-0983 x 229 or [email protected].